Sometimes grieving Families need something to Comfort them after the death of a Loved One. Now you can get a Unique, One-of-A-Kind,	Keepsake Remembrance Poem of Comfort to help ease their pain. 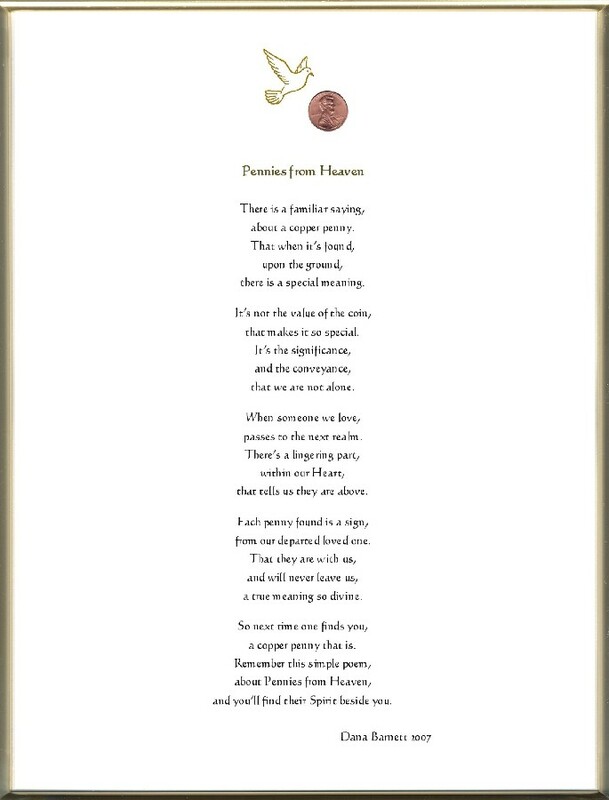 This Sentimental, 8½ x 11 inch, Custom Printed, Remembrance Poem of Comfort has a Gold Ink Dove with a shiny copper penny displayed over the beautiful Poem on a White background.